Playing games as a family is such an easy and fun way to spend quality time together. It’s also a fab way for young children to work on skills like sharing and taking in turns. There’s also the idea of learning rules and following them to help everyone enjoy taking part in playing the game. 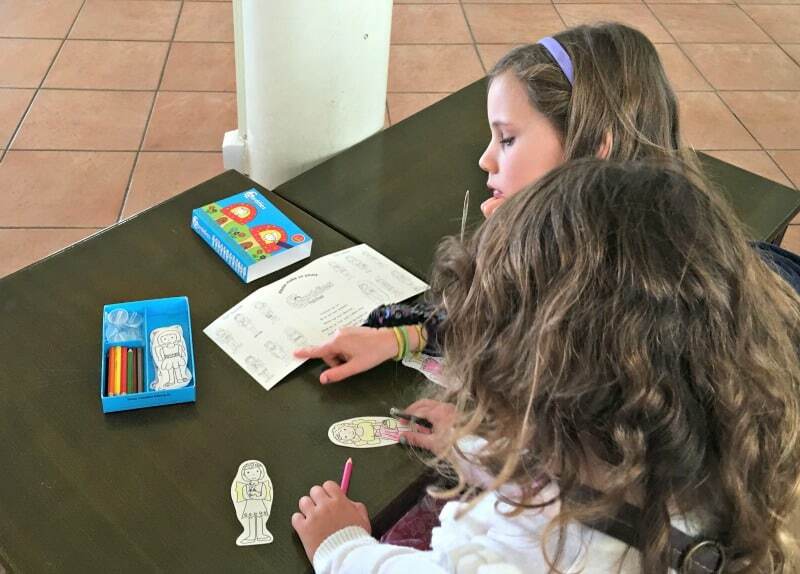 Games are great for kids all round and we were lucky enough to be sent three from TOMY to try out with the girls. The Greedy Granny Game from TOMY is perfect for preschool age children and is a lot of fun to play. I think this was our favourite game of the three we played together so it seems only right to talk about it first. Firstly, you don’t need any batteries to play this game so it’s ready to use as soon as it comes out of the box. Granny has filled her tray with biscuits and fallen asleep with her teeth in! We had a lot of fun trying to collect the biscuits from the tray without waking Granny up. The idea is you collect one of each biscuit depending on what happens when you take your turn with the spinner. When Granny wakes up teeth and biscuits fly everywhere and to be honest I think this was the girls favourite bit. This is another fun and simple game from TOMY for preschool children. As well as having lots of fun this is great game to help young children with their motor skills. We collected our pile of coloured food and tried to get our items in the fridge before Phil’s fridge door flew open. The winner is the first person to get all their food in the fridge, but it’s tricky as Phil the Fridge is always spinning! It’s a great fun game for 2 to 4 players and will provide your little ones with endless amount of fun on rainy days. 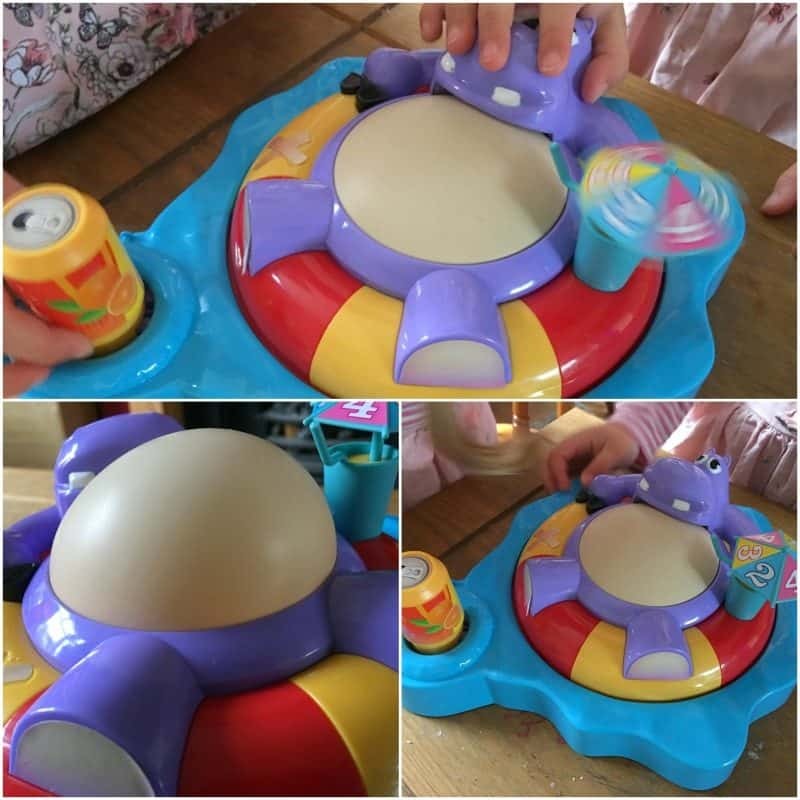 The Fizzy Dizzy Hippo Game from TOMY definitely provided the girls with lots of giggles. This fun preschool game is so simple for young kids to play, that once they get in the swing of it they will need very little or no adult supervision. The kids would spin the umbrella and push the fizzy drink can by the amount of times it landed on. As they pushed the can the hippo’s belly filled with air. The bigger the belly got the louder the laughs became! The winner was the one who made the hippo’s belly pop, and when it did the hippo made some rather interesting noises if you know what I mean. Seeing as we’ve had so much fun with these preschool games from TOMY, I’m absolutely delighted to announce this latest giveaway. TOMY are offering Zena’s Suitcase readers the chance to win Greedy Granny, Phil the Fridge and the Fizzy Dizzy Hippo game. Yes, you can win all three of these family friendly games simply by completing the rafflecopter below. Wouldn’t this make a great surprise for your little one? Get entering now! Competition ends 27.3.18. Other T&C’s apply. We were provided with the TOMY games featured in this post, but all thoughts and opinions are my own. Will be the perfect games to enjoy with my daughter for hours of fun. I love Tomy toys and I think my cildren would enjoy playing these games! We like playing games as a family and could do with some new ones! I’d love to win as my sons love playing board games and I think these ones would really make then chuckle. my kids love playing games, they provide them hours of fun and is there go to when they get bored. These would be a very welcome addition! There’s lots of fab fun games that we’ve not played yet. They look fun to play with my nehew and niece when they visit. My daughter had just turned 4 and is trakt starting to enjoy games and these look like they would be lovely to play together. My kids love playing games and these all look like fun. Would love this as my daughter loves playing games as a family. My daughter loves playing board games with me. It makes us laugh and spend quality time together especially as her dad often works abroad and when he is home we have family time of popcorn and board games so it would be lovely to add to her collection. I would love to be able to treat the children to some new games and these look particularly good. My grandaughter has a birthday coming up, her face would light up if i wrapped these great prizes up for her…. Would love to win this bundle for my son. It would be a lovely treat to play in the half term holidays! My son loves these types of games. We often have a games afternoon at the weekend. Adding these to our collection would be great fun . My grandchildren range from 3 to 8 years old and I think they would ALL enjoy all of these games and have great fun together with them. We are always looking for fun games to play as a family, and these look just perfect! Me and my girls love playing games … well i like making them and these look great to all play together! I would love to win this as my second child is now getting to that age where we can play family games together which is so exciting! we love family time, so these games would be great to play with the kids. I would love to win this because my toddler is full of beans and needs to be entertained more or less all of the time. This would help immensely. THey would be great to have to play with the little ones. These would be perfect to play with my niece and nephew on rainy (or snowy) days! These games look great to keeping the kids occupied and enjoying themselves indoors during the cold weather and school holidays! We love to have lots of different games for rainy or snowy days like today. Would love these to add to the collection. 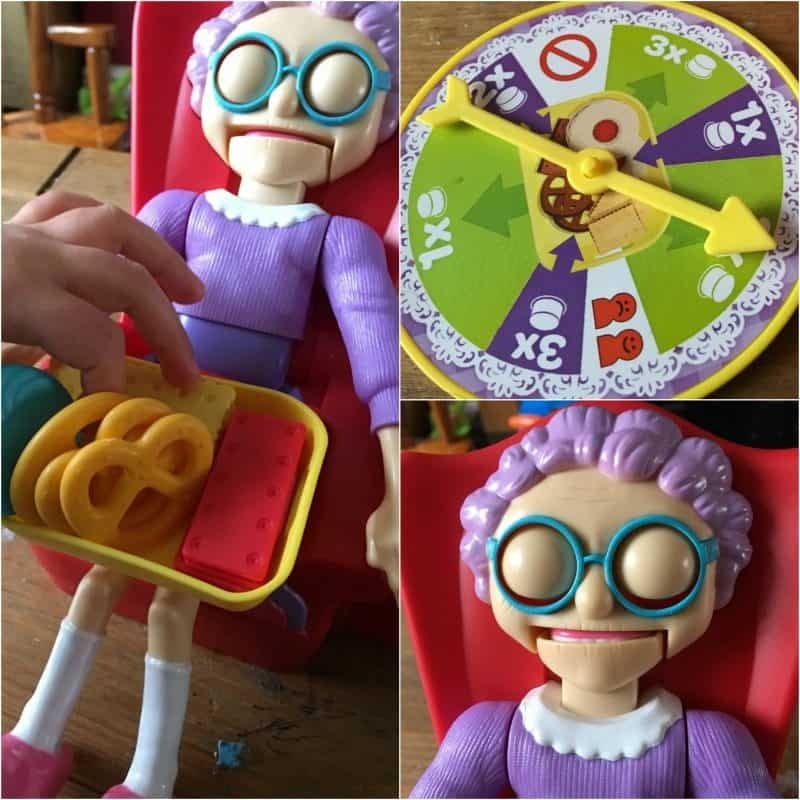 The Greedy Granny game in particular would have us in stitches. We’d love to play them all! Great games, we’re always looking for new games to add to our games nights so thanks for the chance to win! id love to win this for my nieces and nephews for when they visit. looks great fun and i always try to be the fun auntie! Would love to win, I love anything away from “screen time” for my children, I want them to learn to play together (easier said than done) so love getting new board games. adds a bit of excitement into things! There would be great to have at home for when the step-grandchildren visit! My children love playing games, and these look fun to play. I personally teach kids about the environment in a fun way. I’d love to share your idea with my kids. My kids would love these games especially to play on the weekends when it’s rainy or snowy outside. I’m blessed with 3 grandchildren. Missy 5, Logan 3 and Karlie 8 months. These would be perfect to add to our small (but growing) Toy and Book corner. These games are ideal to play on cold or rainy Sunday afternoons at Nanny’s house. Toys, such fun. The children would love these games to play with. 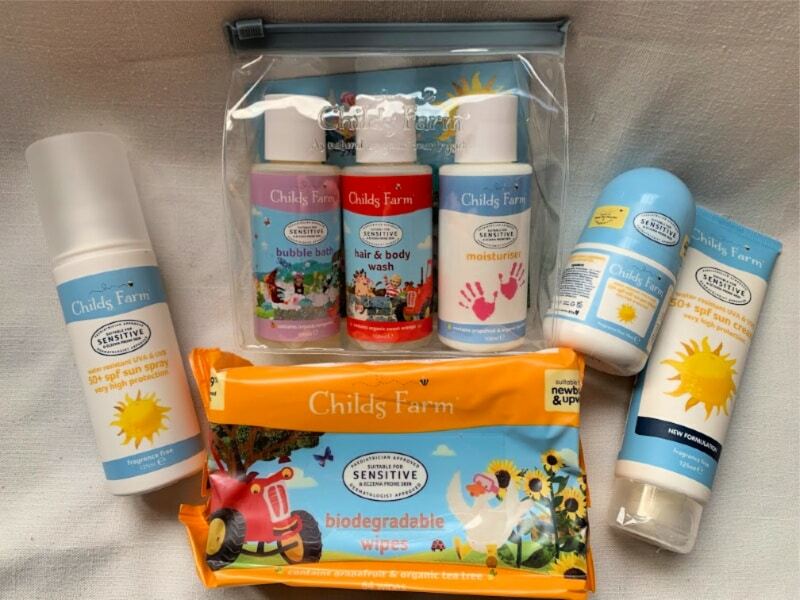 I’d love to win these goodies for my little boy, I know he would have so much fun with them! I would love to win this prize for my two younger daughters who love playing games at the dinning room table after dinner every night! My grand-daughter is getting bored with the games we have. I would love to win for my niece and nephew it looks so much fun and we could do with a new game to play when they come to stay. I am Granny to five grandchildren and they would love to play these games especially the greedy granny one! brilliant selection of games my 4 monsters would love them! It would keep the grandchildren entertained for hours. I would love to win for my nieces and nephews so we can play them during the school holidays! We play board games everyday. But our 80+ collection is getting repetitive now. We could do with some new games! Would love to win this for my daughter, she’s doing so well with her potty training this would be a fab way to reward her for being such a good girl ? I would love to win these super games because it would be a great start to prepare for Christmas 2018! Would be an amazing addition to our family game night, especially as I have a little grandson who is at that age when he wants to join in and Im sure we would have many fun filled hours playing these games. I’d love to win because we’re badly in need of some new games! My children love playing games but it can be hard to find games that all the different ages enjoy playing together, these games look fun for all of them. My children love playing games, and these look really fun! I would love to win these games so i can enjoy them with my family on family game night. This looks like it would be a great laugh for all the family! I’d love to win because i know my children would have hours of fun with these! My little one is really getting into playing games together, so one of these would be a great addition! We love playing games, my little girl would be so excited to have some new ones! I’d like to win for when my nieces and nephew visit. I would love to win these for our family games night as they would be perfect for the kids. All my grandchildren love games and we regularly sit round the dining table playing, they are great for learning to share, take turns and not cheat! We have lots of fun and would really love some new games to play together. My soon to be sister in law is currently 8 months pregnant, with 3 other young children, one less than 12 months. If I win I would gift to her. We all love playing games as a family, such great fun. Games night is fantastic. We would love these to have lots of fun. I have a little boy and I am sure he would just love these games, so I’d like to win them for him! I need to start organising some rainy day games, these would be perfect as both my girls can enjoy them. My children love playing these sorts of games. I would like to win this for them. I have two little boys who would have great fun playing these, we love having family time playing games. I would love to win for my grandson, Tyler. He lives with me and these toys will be a real treat for him! My great-niece and great-nephew are getting a bit bored when the weather is rubbish – I mean the slippery snow and frost as I can’t take them out, although we don’t mind the wind, rain and cold. So this would be a lovely treat for them when I can’t take them out as much. I love playing games and they look fun. My kids love playing games, and they give us some rare family time together! love to win for my little girl, fill the fridge looks great fun. we love playing games as a family, great for teaching them to wait, share and be a good winner/loser, that’s just the husband lol!! My daughter and her nephews love board games – and to be honest, we, adults also enjoy most of them 🙂 I usually try to find something new and unusual, I think Fizzy Dizzy Hippo would become one of our new best choice. Our favourites are the funny ones, where although competition is there, but it is not that fierce. We’ve recently started doing family game night on a Friday. We only have a few games so these would be great to add to our collection. These look like so much fun! 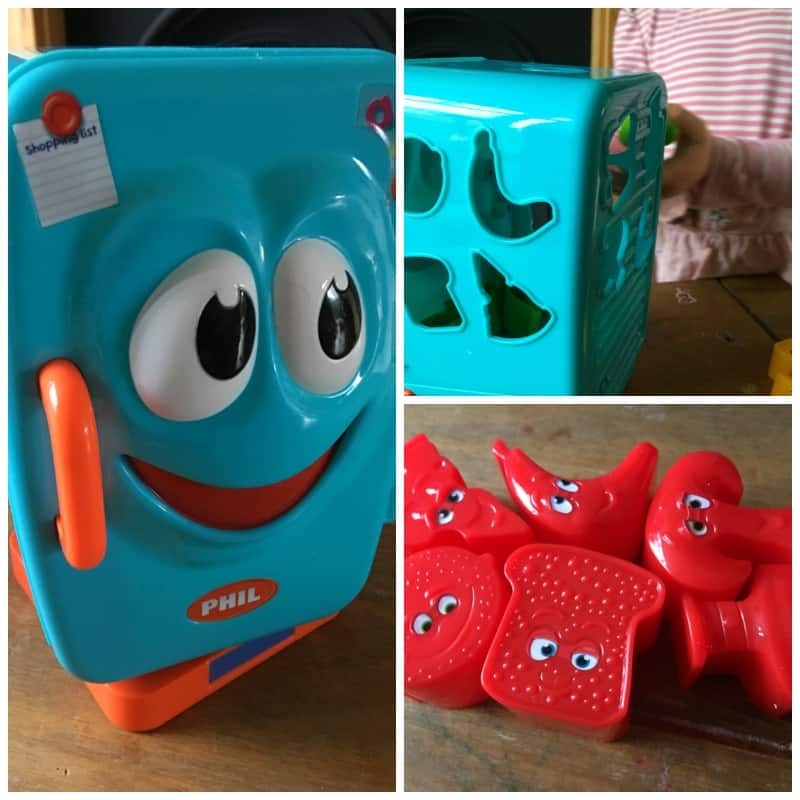 The Phil the Fridge game is really cute and I’m sure my little boy would love it. They are all very eyecatching and colourful which mean pieces won’t be lost easily. I’d love to win for my friends little girl- she would love it! my three kids would love to play with them! Would be great to win this for my little niece, as she loves a good family game. I would love to win as this would be a fantastic treat for my friend’s two children. Thank you! These look great. I’d love to win them for my niece who would certainly enjoy them. Good luck everyone!